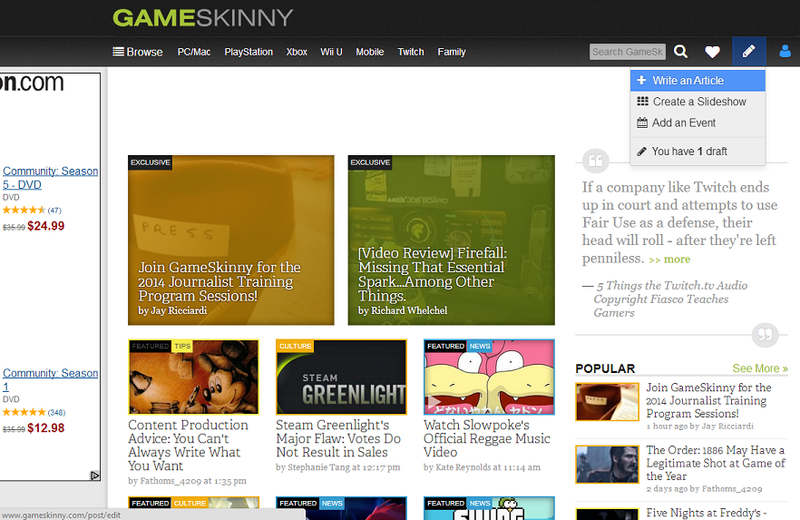 Writing an article on GameSkinny is easy as pie (and possibly a lot easier, if you hate baking)! After you've logged into your account, just click the pencil icon at the top right of the site. From there, you'll get a dropdown where you can choose to write an Article, a Slideshow, add an Event or (if you were working on something in the past) edit a draft that you've saved. Once the article is submitted, by default it goes straight to the Lobby and has been released into the wilds of GameSkinny! Our editors are monitoring the content and frequently feature and promote articles from our community of contributors and writers!